Well, friends! It is here! It was cruel fate to be born in space, but Elijah Kalgan has vowed he will not die there. He and Chief Engineer MacPhearson have a plan to turn the rickety and misguided Southern Sun around and bring it back to Earth. Unfortunately, that means staging a mutiny. 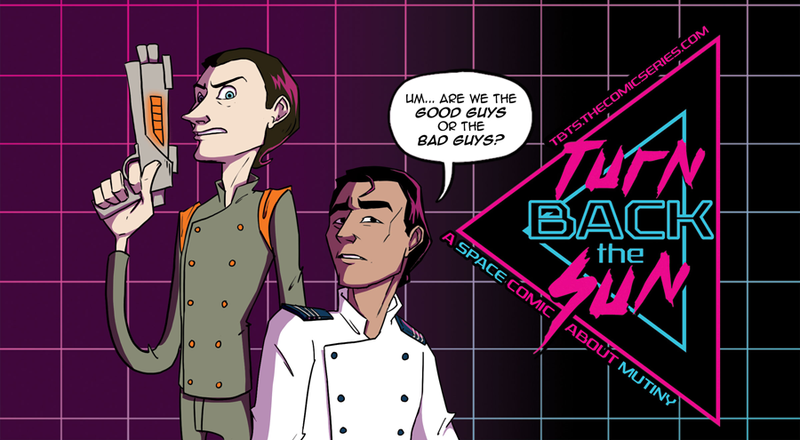 For the uninitiated, "Turn Back the Sun" is based on a cheesy sci-fi cult classic called "Space Mutiny." In the original film, the mutineers are the villains, but despite their evil methods their case always seemed more sympathetic. I've written this story so that it stands on its own. You don't need to see the original movie to understand it, but if you choose to I recommend the MST3k screening. Many of the "Easter eggs" in TBTS are references to their jokes.